Thurston Howl Publications, 9780990890287, 258pp. Wolves have terrified and mystified us, their howls echoing through the words of our fairy tales, the texts of our stories, and the deepest crevices of our imaginations. Wolf Warriors II presents a diverse collection of artwork, poetry, essays, and short stories, featuring award-winning poets Mark Tredinnick and John Noland. 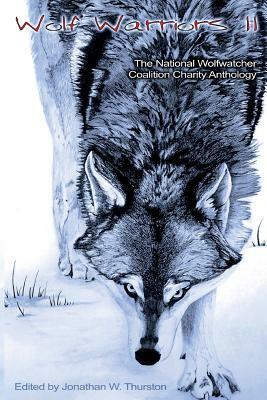 This anthology captures the various faces of the wolf: from the fantastic to the horrific, from the snow-capped mountain peaks to the moonlit lake in the trees. The howls of these warriors will make you smile, make you cry, and, most of all, make you want to raise your own howl to join the chorus.